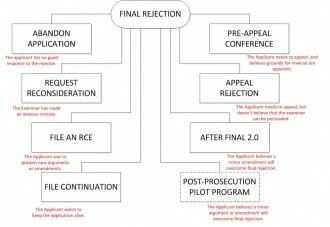 Effective today, the PTO is initiating a Post-Prosecution Pilot Program (P3) to test its impact on enhancing patent practice during the period subsequent to a final rejection and prior to the filing of a notice of appeal. P3 combines effective features from the Pre-Appeal and AFCP 2.0 programs with new features. For example, P3 provides for (i) an after final response to be considered by a panel of examiners (Pre-Appeal), (ii) an after final response to include an optional proposed amendment (AFCP 2.0), and (iii) an opportunity for the applicant to make an oral presentation to the panel of examiners (new). P3 is intended to increase the value of after final practice by (1) leveraging applicant input obtained through an oral presentation during a conference with a panel of examiners, and (2) also providing written explanation for the panel decision. Please note that neither the Pre-Appeal nor AFCP 2.0 pilot programs are discontinued. In order to participate in the P3, the applicant will be required to file a request for consideration under the P3 within two months from the mailing date of a final rejection and prior to filing a notice of appeal, together with a response under 37 CFR 1.116 to the final rejection and a statement that the applicant is willing and available to participate in the conference. The response must include no more than five pages of argument. Arguments are limited to appealable, not petitionable, matters (e.g., an argument that the final rejection was premature is a petitionable matter). The applicant will have the option of including a proposed non-broadening amendment to a claim(s). There is no fee required to request consideration under the P3. The conference will begin with the applicant’s presentation, which is limited to 20 minutes. The applicant will be excused from the conference at the end of the presentation. The applicant will be informed of the panel’s decision in writing via the mailing of a Notice of Decision from Post-Prosecution Pilot Conference. The notice of decision will indicate one of the following: (a) Final rejection upheld; (b) allowable application; or (c) reopen prosecution. 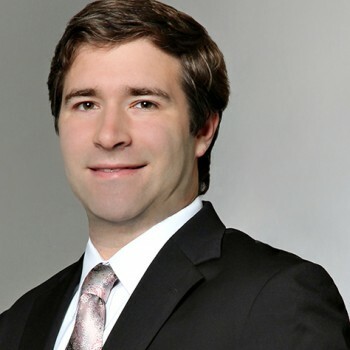 In appropriate circumstances, a proposed amendment may accompany the notice of decision proposing changes that, if accepted, may result in an indication of allowability. The P3 will accept requests beginning July 11, 2016, until either January 12, 2017, or the date the Office accepts a total (collectively across all technology centers) of 1,600 compliant requests to participate under the P3, whichever occurs first. Each individual technology center will accept no more than 200 compliant requests, meaning that the P3 may close with respect to an individual technology center that has accepted 200 compliant requests, even as it continues to run in other technology centers that have yet to accept 200 compliant requests. Overall, P3 represents another tool in the patent prosecution toolbox that tries to get an application allowed after a final rejection, without the need to narrow claims like you have to do with After Final 2.0. And That’s Final . . .